Dec 18 2012: Ferry to Mainland Mexico! School's out for... er, Winter! After two weeks of Spanish classes, we've graduated, and the school has thrown a party for all the students that are leaving this week! Our graduating class. We celebrate with chocolate cake! We've spent 16 wonderful days in La Paz, making lots of new friends and pulling out the first tendrils of roots that we were starting to put down was difficult. We packed our once-light motorcycles with all of our traveling kit, ready to continue our wanderings. 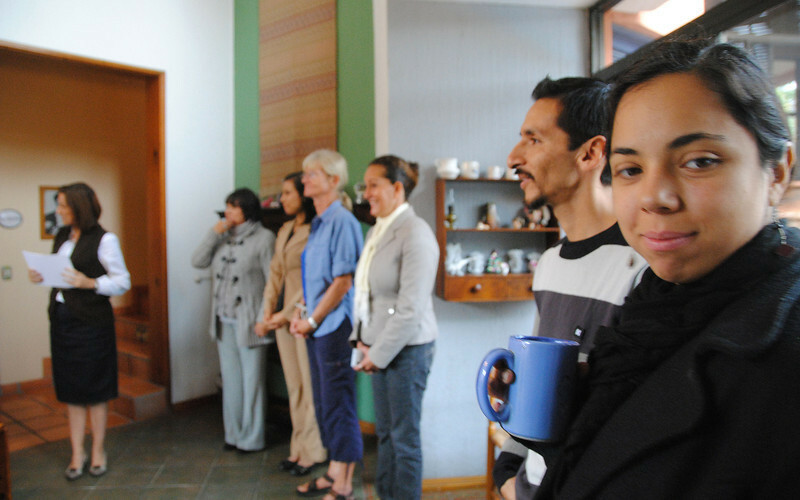 It was a sad goodbye to our homestay family but at the same time, it felt really good to hit the road again. Neda and I both agreed that we are nowhere close to settling down yet! 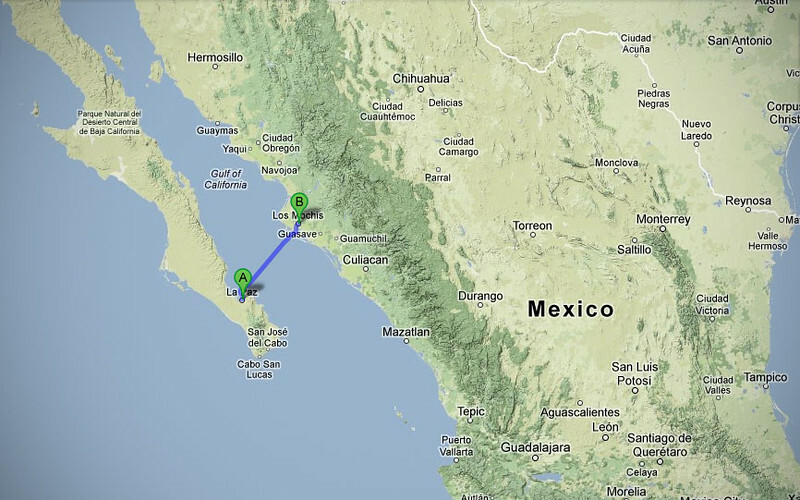 Fortunately, there is another ferry that travels to Topolabampo, about 4 hours north of Mazatlan. 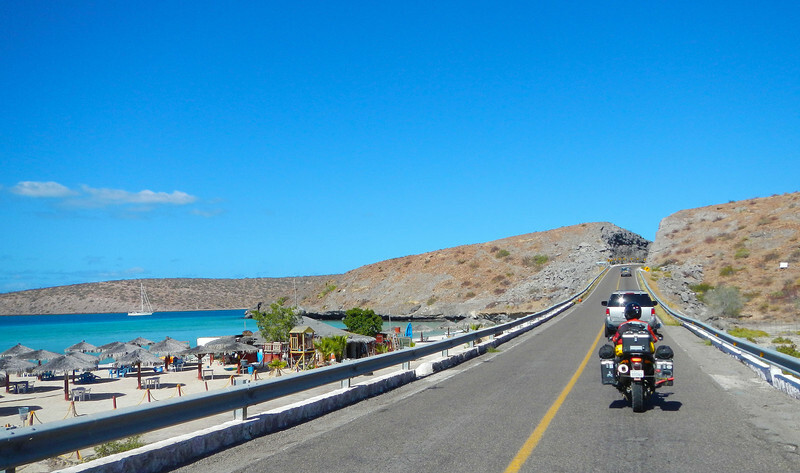 After having a good laugh over the funny name, we decide a 4 hour motorcycle ride from Topolabampo to Mazatlan is perferable to waiting another 3 weeks, as nice as La Paz is. Plus the Topolabampo ferry was much cheaper! We met some other motorcycle travelers at the ferry terminal - Jayne and Phil are a brother/sister team from Calgary (more Canadians!) - they were getting their vehicle importation papers done early for their trip to the mainland. 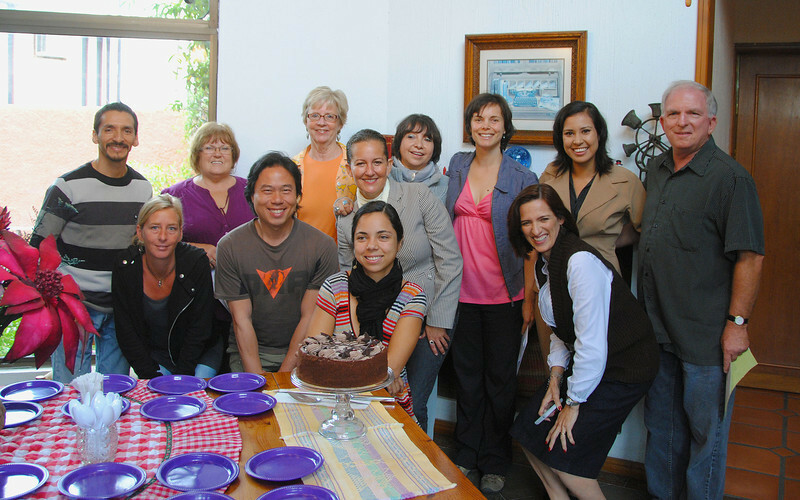 I think they were staying in La Paz for a couple more weeks, so we suggested the Spanish school to them. We exchanged travel stories and they gave us some good roads to ride in the mainland, can't wait! Into the belly of the California Star, capable of holding 100 cars and 900 passengers! 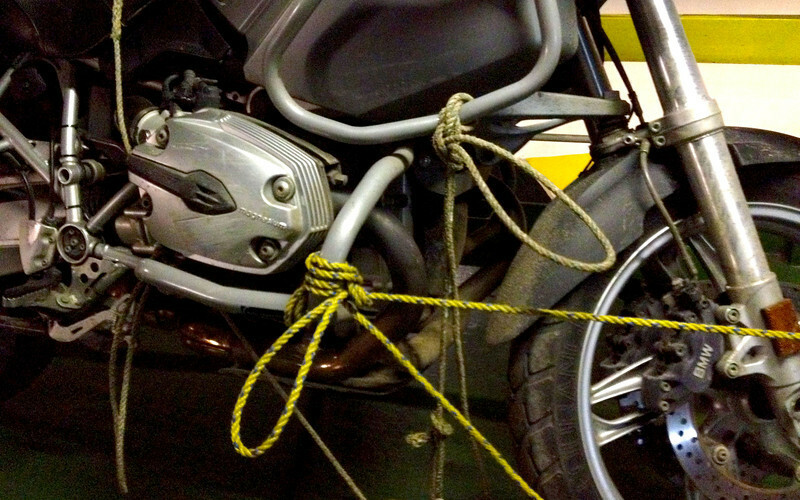 We were directed to park our bikes in a corner of the ferry's hold, and we searched in vain for tie-down hooks and straps. 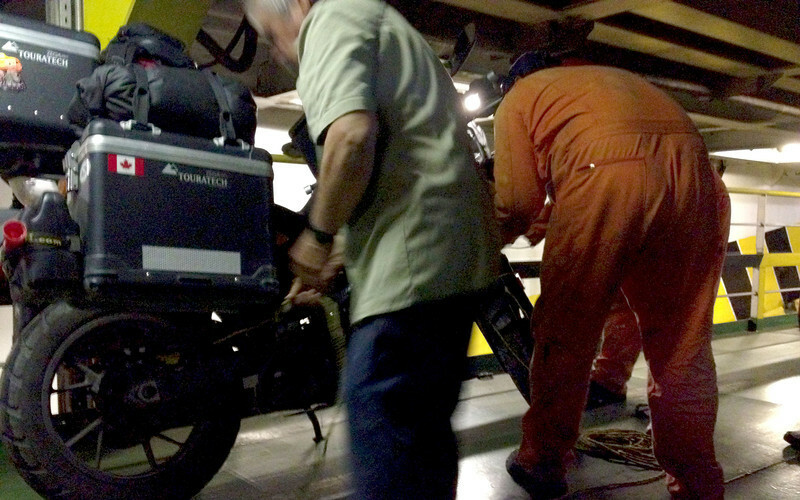 There weren't any around, so we assumed that the ferry was large and stable enough to keep our bikes upright even in the most violent of storms. We could not have been more wrong. 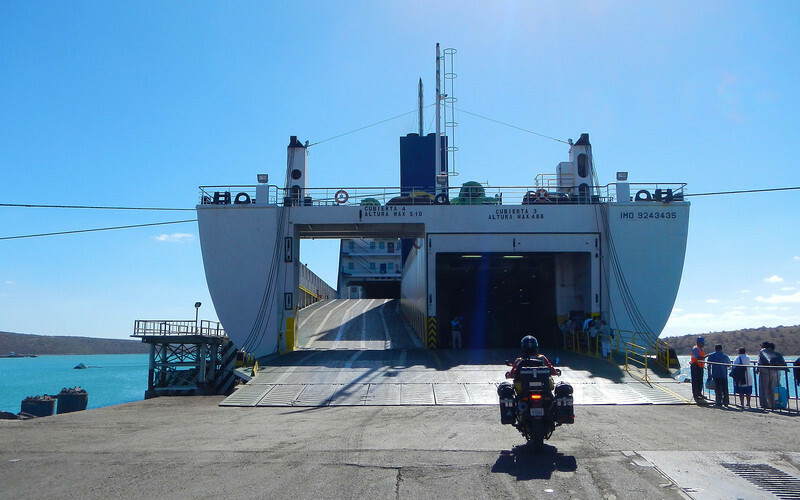 There was one other motorcyclist on the ferry: Rick was riding from Ensenada back to his home in Mexico City, and this was his very first motorcycle trip after getting his license late last year. Like all those that have been bitten by the touring bug, we would spend much of the 6 hour trip to the mainland talking about motorcycles, with him practicing his excellent English with us, Neda practicing her excellent Spanish with him, and me practicing talking Spanish like a 2-year old. Fortunately, the bikes were still upright. The staff had summoned us so that we could move our bikes to a spot where they could tie the motorcycles to the railing. The crash bars I put on at Mark's place in San Diego were to come in handy. We arrived in Topolabampo after sunset. 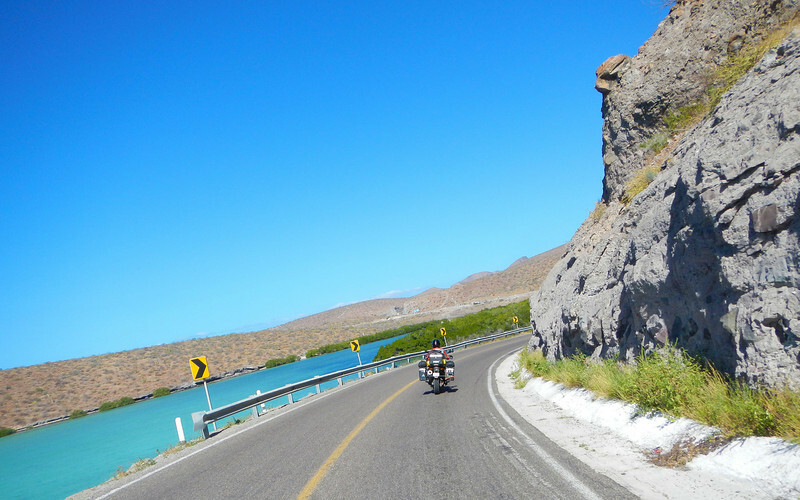 Much like Pichilingue, it's not a very big town, just the ferry terminal and some buildings, so we rode with Rick about about 30 minutes away in darkness to Los Mochis. Rick is a biologist and used his corporate rate at a nice hotel in town and we had a really good night's rest on our first night on the mainland. 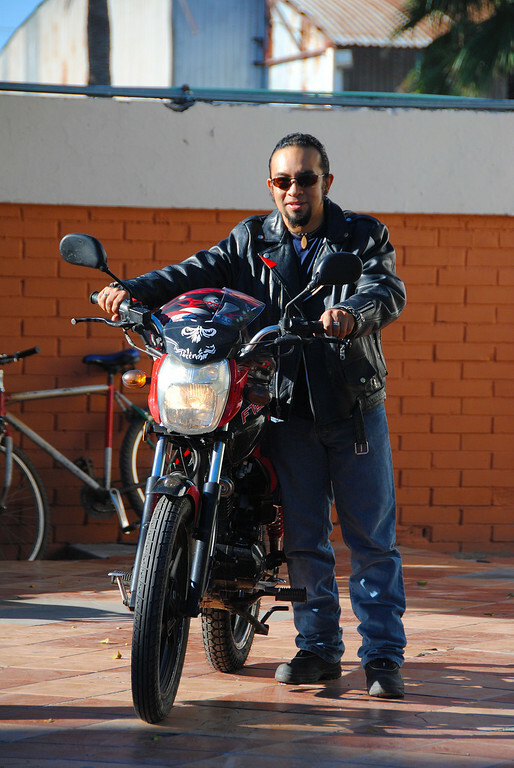 Rick is off to service his motorcycle in Los Mochis.